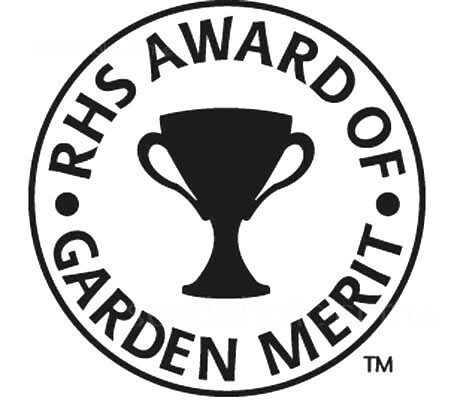 The Royal series is the only Aubrieta awarded to be awarded the RHS Award of Garden Merit. With supreme flowering ability this variety of an old favourite takes a lot of beating. Aubrieta ‘Royal Violet’ is an excellent choice, forming a low cushion of evergreen leaves, literally smothered by violet coloured flowers for several weeks. 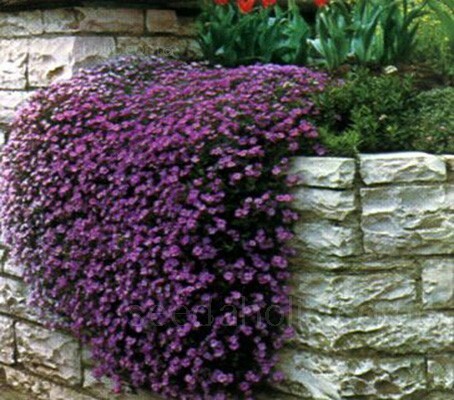 Perfect for a rock garden in sun or part shade, used as a ground cover, growing over rock walls or in alpine troughs and other containers. Commonly known as 'Rock Cress', Aubrieta is an extremely popular plant, and a familiar sight in the spring garden. Easy to grow from seed, it grows only 10cm (4in) high yet may grow to 60cm (24in) in width. In the spring they flower so prolifically, that the blossoms almost completely cover the foliage below. Hardy to -23°C (-10°F) in Europe the foliage of Aubrieta is evergreen and provides year-round cover. This soil hugging perennial seems to thrive in impoverished and hungry shallow soils. Plant in crevices of walls or on a steep bank to flow over in a waterfall cascade of colour. Aubrieta deltoidea 'Royal Violet' has been awarded the prestigious RHS Award of Garden Merit (AGM). Aubrieta originates from southern Europe east to central Asia. It is a genus of about 12 species of flowering plants in the cabbage family Brassicaceae. The genus is named after Claude Aubriet, a French flower-painter. The true spelling is ’Aubrieta’ but in English vernacular use, the name is commonly (mis-)spelled as ‘Aubretia (or Aubrietia), an easier letter order for English speakers to pronounce. An easy way to remember this description is by remembering the shape of the Greek letter ‘Delta’ - Δ is triangular, or that the ‘deltoid’ muscle - is the triangular muscle on the human shoulder.